Table located on outdoor patio. Table located in secondary room. (Separate DJ). 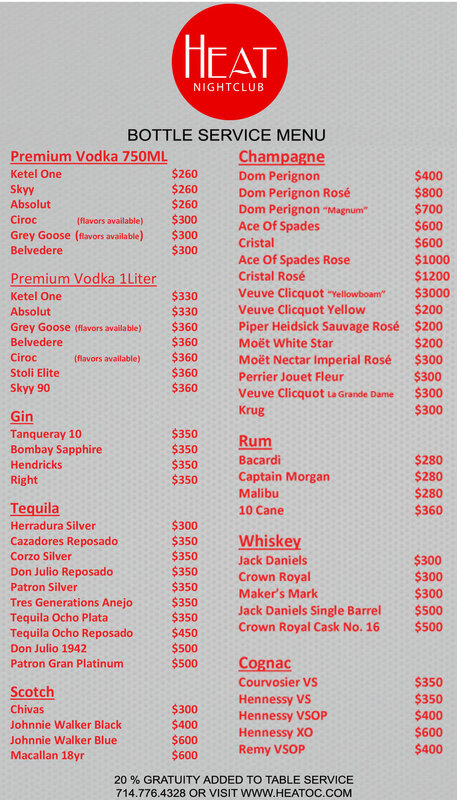 Large table located on the dance floor. Huge table next to the DJ booth and on dance floor. 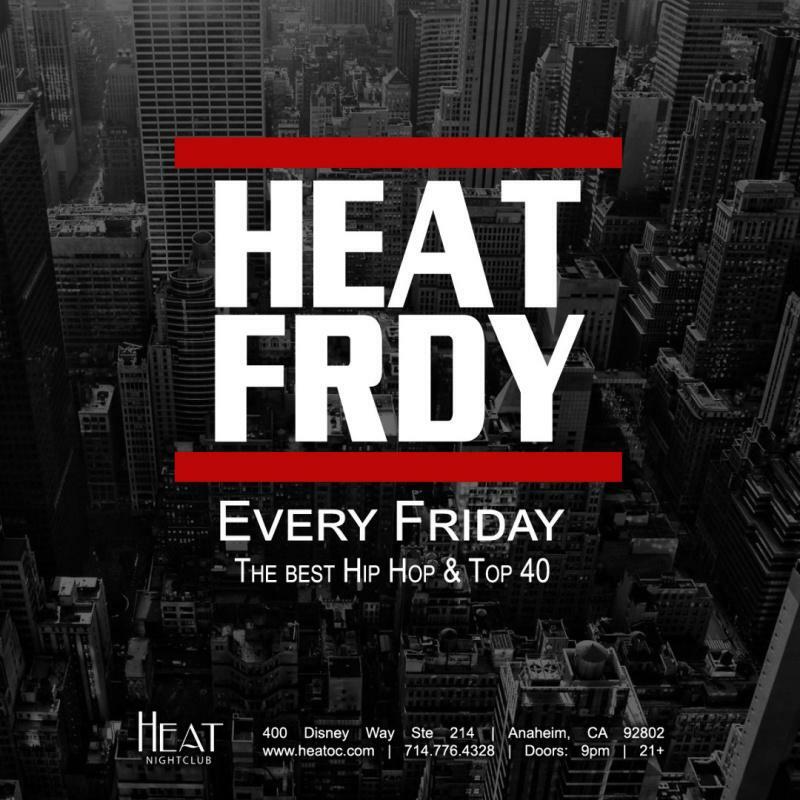 The Best In Hip Hop & Top 40 Every Friday Night At HEAT... Featuring Renowned Artists And Turntablists. 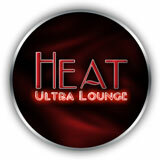 Join The Guest List For Free Admission Or Reserve Your VIP Section Today!